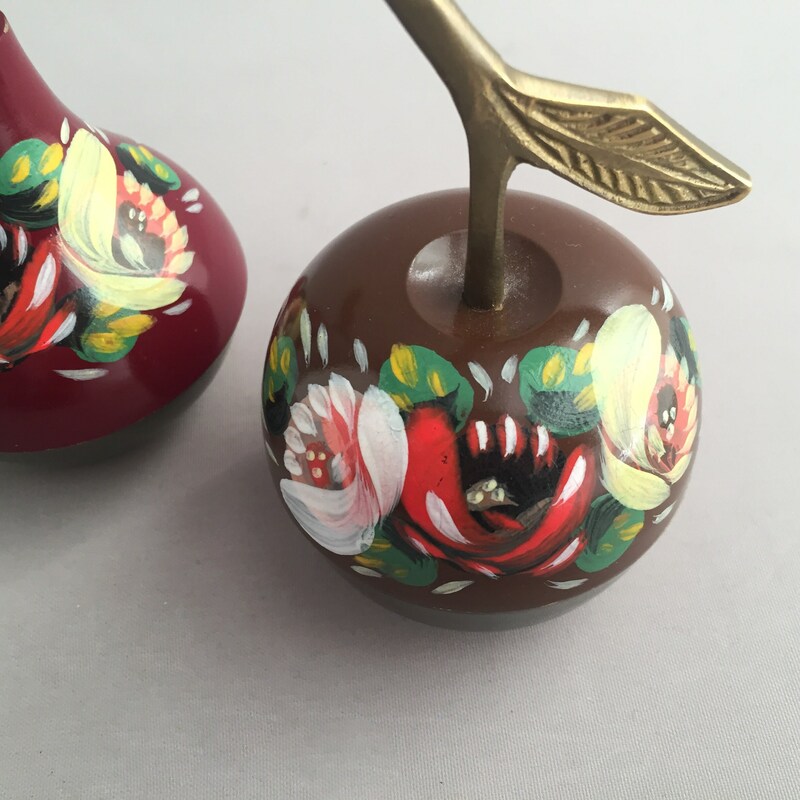 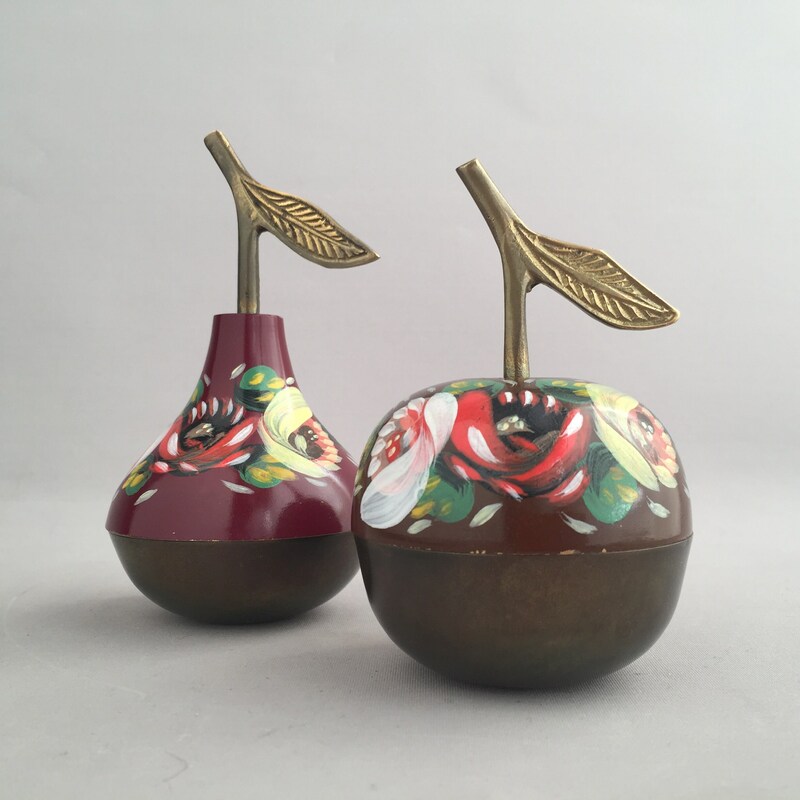 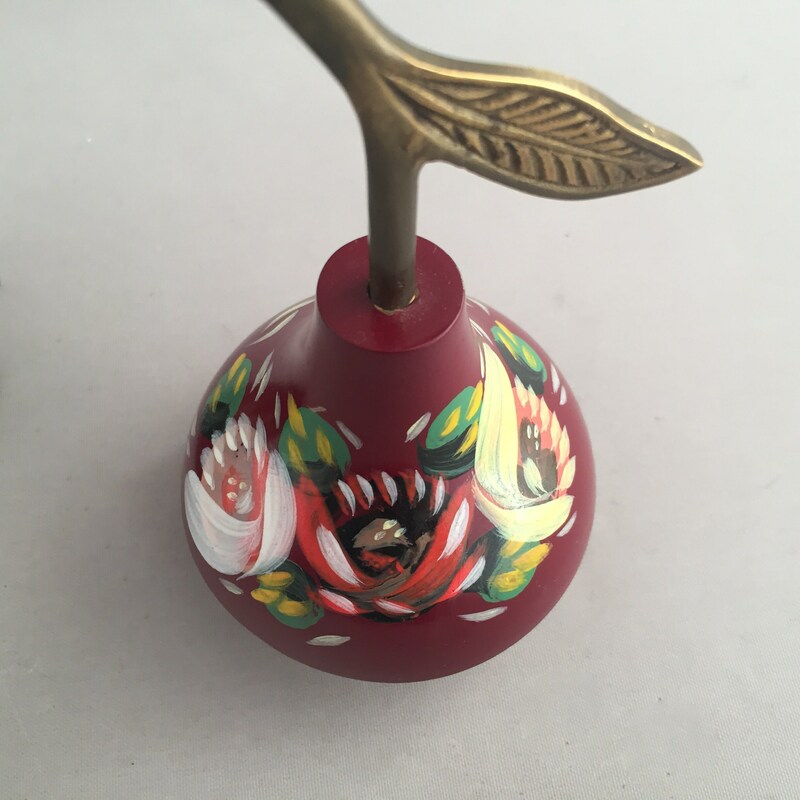 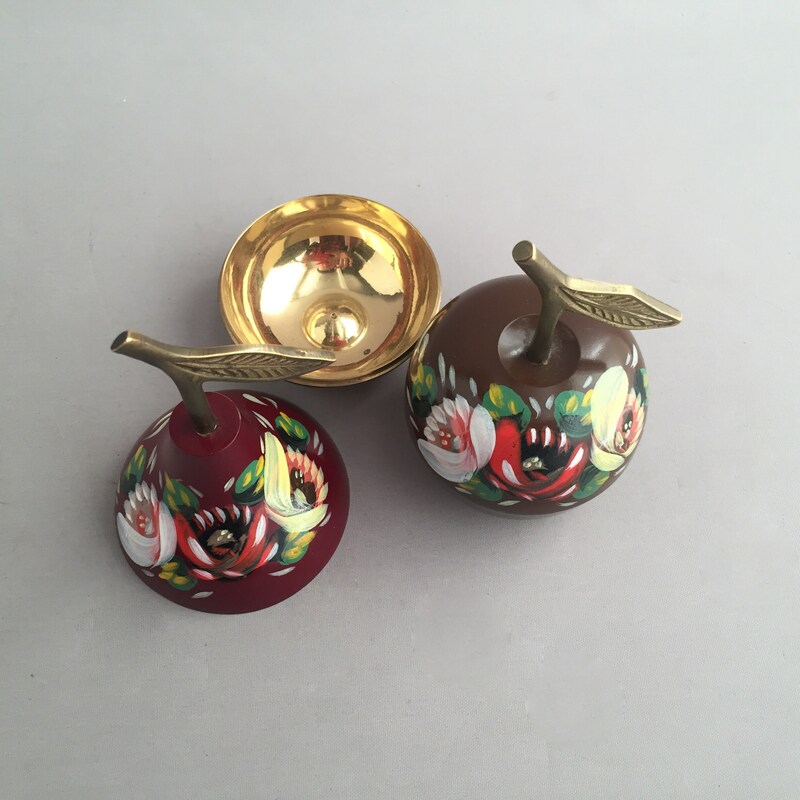 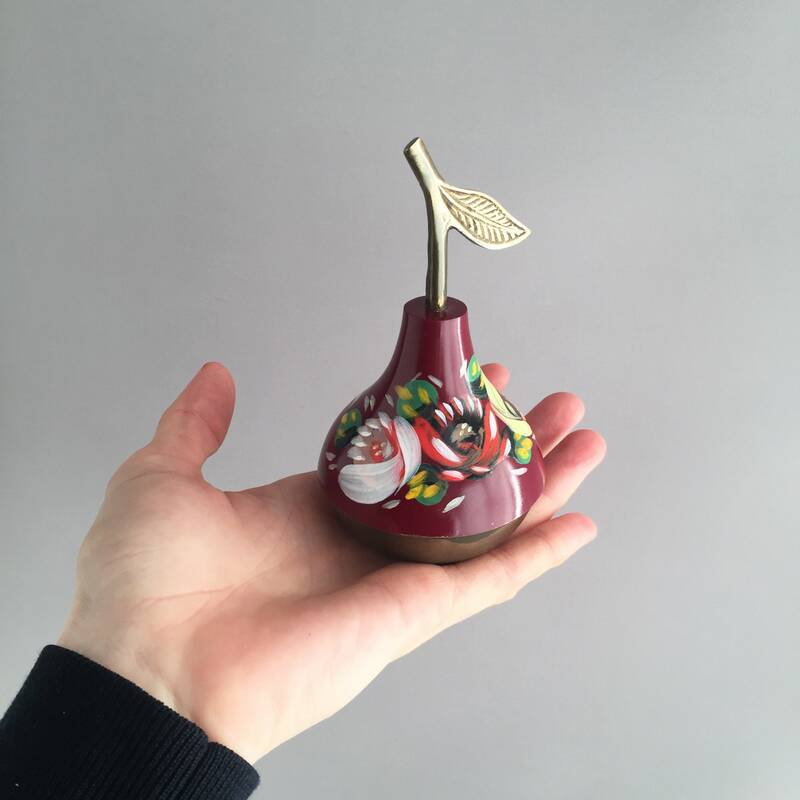 The sweetest pair of brass fruit, embelished with hand painted flowers. 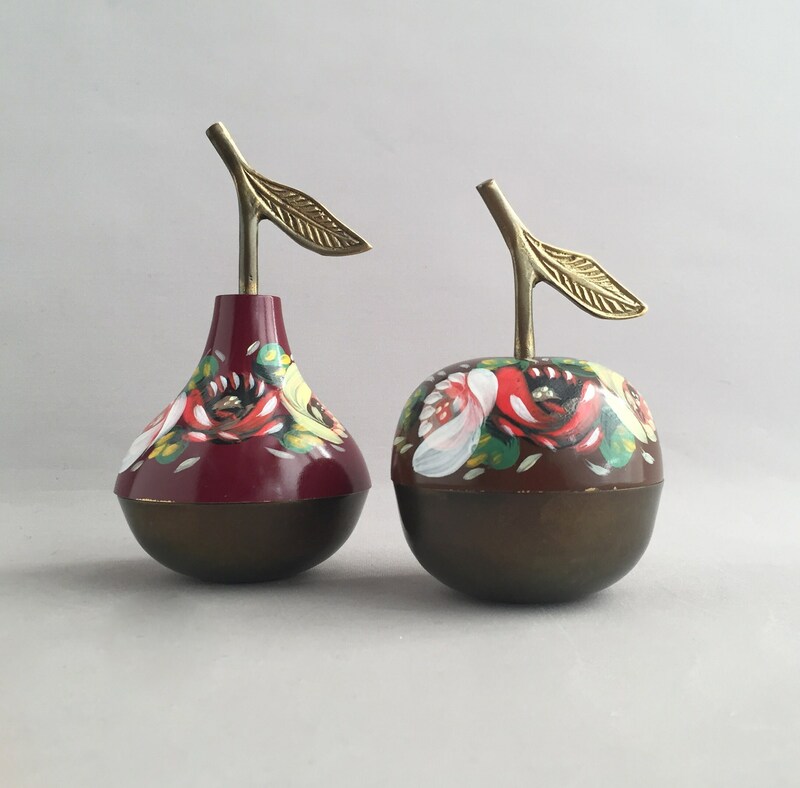 Apple measures 11.5 cm tall x 7cm, pear measures 13 cm x 7 cm wide. 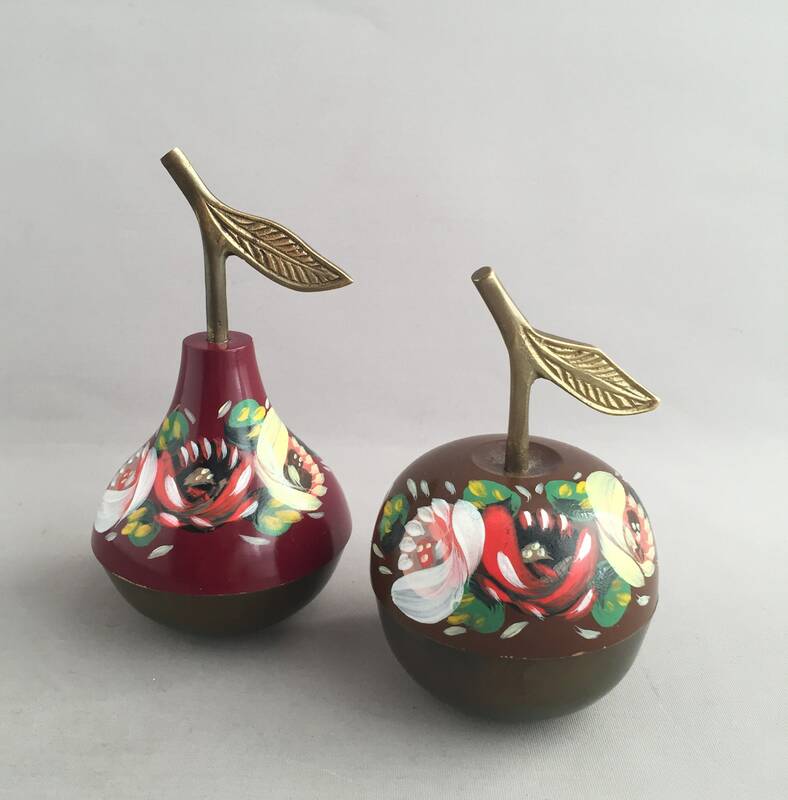 These are sold as a pair.